Superdry women’s microfibre toggle puffer jacket. The perfect addition to your outerwear collection this season, featuring a fleece lined body and hood, a zip and toggle fastening and two front zip fastened pockets. This jacket also features as bungee cord adjustable hood with a faux fur trim, a ribbed hem and ribbed cuffs with thumb holes. 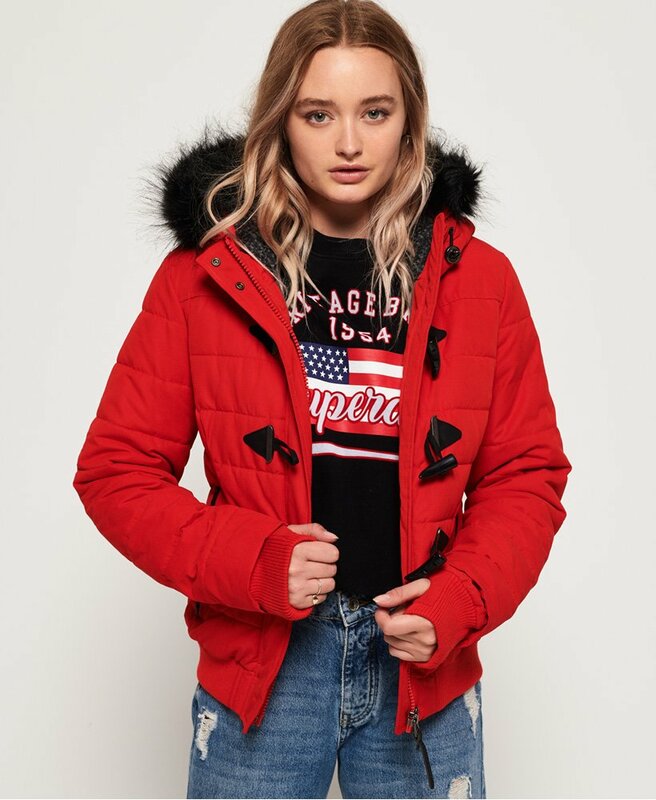 This warm padded jacket is finished with an embroidered Superdry logo on the back and a metal Superdry logo badge on the sleeve.